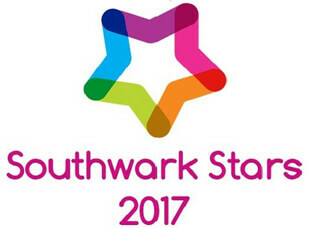 Winckworth Sherwood is delighted to have been awarded ‘Best Charity/Corporate Partnership of the Year’ at the Southwark Stars 2017. The award is in recognition of our partnership with Southwark Citizens Advice Bureaux (CAB), delivering the monthly council rent arrears clinics for residents in the borough and also for the support we have provided CAB over the past 4-5 years as part of our CSR programme. Gemini Cecil and Aleksandra Traczyk attended the ceremony, describing it as a “humbling and rewarding experience showcasing the many different charities working within the Borough”. During the ceremony a number of volunteers collected their “100 Hours Southwark Star” certificates for giving up 100+ hours of their time in the past year, each to good causes, including two CAB volunteers, and where one volunteer received a lifetime recognition award having spent 60 years+ volunteering for a youth charity. Winckworth Sherwood is very proud of our first CSR award, and would like to thank all our CAB volunteers for their amazing work!